One of the first small appliances I ever invested a lot of my own money in was a toaster oven. At this point in my life, I still hadn’t learned that I should skip the cheap food processors and blenders and invest in something sturdy, so this purchase was a very big deal to me. Breville BOV900BSS Smart Oven Air. Photo by Mike Quinn. My husband, who was just “boyfriend” at the time, and I really wanted a toaster oven because we liked the way it reheated food better and I knew if we got the right one, it could be very multipurpose. He saw crispy leftover pizza, I saw a second oven to roast veggies in while the main course was in the big oven. 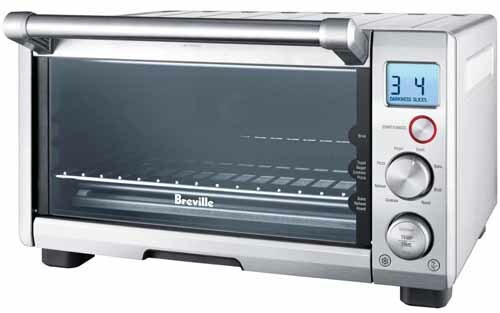 I started out with the Breville BOV800XL Smart Oven 1800-Watt Convection Toaster Oven. This was one of the best purchases I’ve ever made for my kitchen and it’s still in working order some 6 years later. 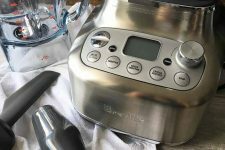 For someone who cooks as much as I do but works in a small kitchen, this appliance was life changing. Not only did it perfectly toast my bagels in the morning, but I could even bake cookies in it. I added a second oven that sits right on my countertop when making this purchase. 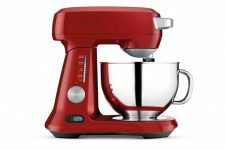 I even included it on my wedding registry guide because I think it’s a great tool for other home cooks living in small places. However, I just upgraded to the Breville Smart Oven Air for a variety of reasons. The Breville Smart Oven comes is four different sizes which means that there should be a model that will easily fit into your kitchen. 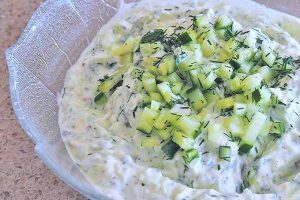 I’d recommend the largest if you can squeeze it in as it is very versatile and is a great addition around the holidays if you do any sort of hosting or help out with food prep. 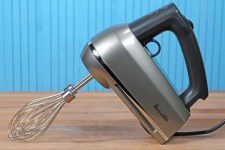 This machine may replace your conventional oven (as well as your dehydrator and air fryer) for all of your baking requirements. After six weeks of testing this model, I’m truly impressed. And it will be permanently replacing its sibling, the Pro, as my go to toasting and baking appliance in my kitchen. Although it may look diminutive on your countertop, the interior size in truly impressive for an appliance in this category. You get a full 16 inches of side to side capacity that also goes 12 inches deep and 7 inches wide. This is big enough to cook a smaller Turkey (14 lbs according to Breville). This cavernous interior allows you to bake your artisan or quick breads without fear of hitting the top elements. Speaking of heating elements, the Air has one more on top compared to its brethren the Pro – for a total of six. The rack is also much more adjustable than any other competitor. There are 8 separate notches allowing you to place your food in the perfect spot and also allows for larger pots and Dutch ovens for braising. The Pro also has 13 modes of operation – three more than its little brother, the Pro. And these extra modes are actually pretty dang useful – dough proofing, air frying, and dehydration. This is the 2nd largest in the group, the former “flagship,” and is the older model that I’ve had for years. Considering everything that this small appliance does, it’s incredible that it can so easily fit on my countertop. This toaster oven can hold a 13-inch pizza or 6 slices of toast and the baking tray is more than big enough to hold veggies to roast for dinner. You can even roast a whole chicken in this little countertop appliance! In terms of how much space it’s going to take up, it’s a little bigger than your average toaster oven. It’s 11.2 inches high, 18.5 inches long, and 16.2 inches wide. I have very limited counter space in my tiny apartment’s kitchen, but this small appliance has a permanent home out on the counter and it’s not an issue. Not to mention, I use it often enough to make the space it does take up well worth it. Check prices and read customer reviews on Wayfair now. 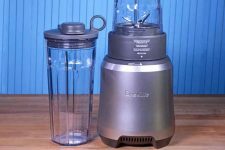 Breville Smart Oven Air Vs Pro; Which is Right for You? 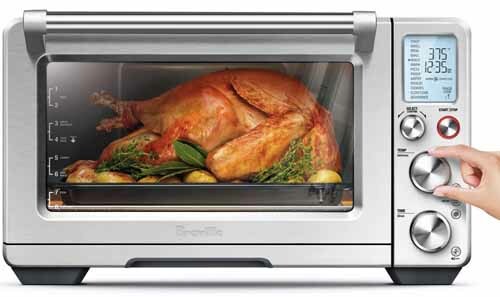 Top: The Breville BOV800XL Smart Oven Pro. Bottom: The Breville BOV900BSS Smart Oven Air. The increased size allows the Air to fit in regular 1/4 sized baking sheets. Photo by Mike Quinn. The Air features a 2-year warranty whereas the Pro only has a 1-year warranty. This model has 1-cubic foot of interior volume while the Pro only has 0.8 cubic foot. The Pro has a total of six heating elements (three upper and lower) while the Pro only has five (three lower and two upper). The ceiling and crumb tray are now highly polished into a mirror-like surface that improves heat deflection. Rather than having to manually turn on the light, it now automatically turns on when you open the door. The door can be opened from one to four inches without it slamming shut like it did on the Pro model. The timer pauses when you open the door. You can turn on a rotation reminder that beeps halfway through the cooking cycle to remind you to turn your pans. And additional fan has been added to cool the electronic front display which suffered occasional failures due to heat on the Pro. An improved redesign of convection fan has been added for better and more even air flow. 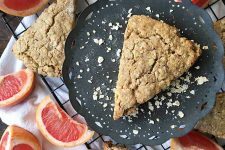 It can fit regular quarter-sized baking sheets and bigger glass casserole dishes (up to 16-inches wide); the older Pro cannot handle anything wider than 14-inches. The Air features eight rack height positions instead of the three found on the Pro and includes two racks instead of just one. The signal beep can be adjusted for volume and even turned off. Three new cycles including dehydration, dough proofing, and air frying (along with an included air frying basket). A new super convection fan setting that boosts the air flow for great crisping. The Air includes a Phase Cook feature to allow to cooking modes to operate one after the other. A silicon seal has been added all around the door to help keep in the heat and moisture. 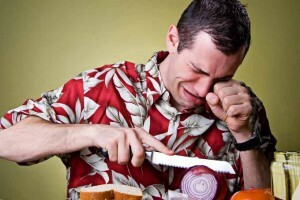 The Air toasts nine slices of bread while the Pro can only handle six slices in one go. The fans on the Pro are quieter. The Pro is $50 – $75 cheaper (at the time of this writing) depending on the retailer. These appliances are constructed entirely from stainless steel; you won’t find any plastic here. The material used is incredibly sturdy so you can be sure that any of the models will last you a long time. My old Breville Smart Oven went through four moves with no breaks or dents, and I’m not exactly careful when moving. Its stainless steel construction not only makes it sturdy, it’s also a very pretty small appliance. The outside is a brushed stainless steel while the knobs are shiny. It really does look great on the countertop. Inside, you’ll find the rack, which can be adjusted four different heights depending on your cooking needs. When you open the front, the rack automatically partially ejects to make it easier to get food in and out. Below the rack is the crumb tray to catch any falling food. The appliance doesn’t need to be opened in order to remove the crumb tray, which has a grip to make sliding it out very easy. 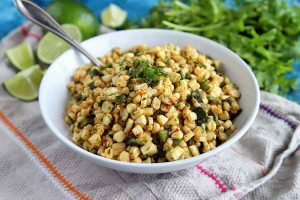 These are 1800-watt convection toaster ovens, so they can really do a lot of different tasks, nearly as much as your regular home oven – although the Breville will probably perform better as these countertop appliances are convection based. If you haven’t cooked with a convection unit before, keep in mind that food will cook a bit faster. Breville Smart Oven Air baking a pizza. Photo by Mike Quinn. Set your timer a little earlier than you would for your traditional oven until you get used to the way the Breville works. A great thing about this series of appliances is that they distribute heat evenly and differently depending on your cooking needs, offering control that you won’t find in other toaster ovens. They use quartz heating elements to get this job done. Quartz is much more sensitive to heat change than traditional metal toaster ovens, which means it will heat up and change temperature more quickly. You can even adjust the wattage for your most sensitive cooking jobs. 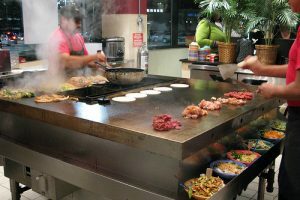 All models have a temperature range of 120-450 degrees Fahrenheit and can cook for up to two hours. All can broil at 500 degrees Fahrenheit, though. The top of these ovens get warm while cooking, and although this is marketed as a plate warmer and can be useful as one, make sure to be careful and not set anything on top of it that can melt. While the preheating cycle is occurring, the display will glow orange instead of the usual blue. Once it’s preheated, it will beep three times before the timer automatically begins to countdown, so make sure you’re nearby to get your food in! The Breville Smart Oven Pro features nine preset cooking functions: bake, broil, roast, cookies, reheat, pizza, bagel, toast and warm. It also comes with a defrost function for those days when you forget to pull chicken breasts from the freezer, as I so often do. 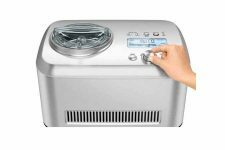 The Air features three additional settings for dehydrating, dough proofing, and air frying. 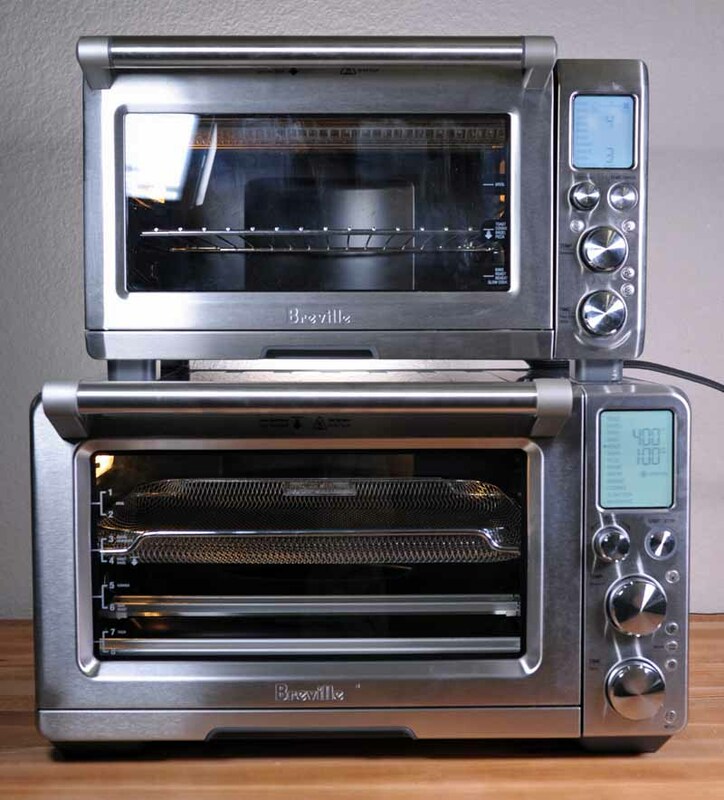 The new Breville Smart Oven Air features three new setting including: (Dough) Proof, Air Fry, and Dehydrate. Photo by Mike Quinn. In fact, you can even indicate that you’re just going to cook a frozen item without defrosting by pressing a little snowflake on the panel. 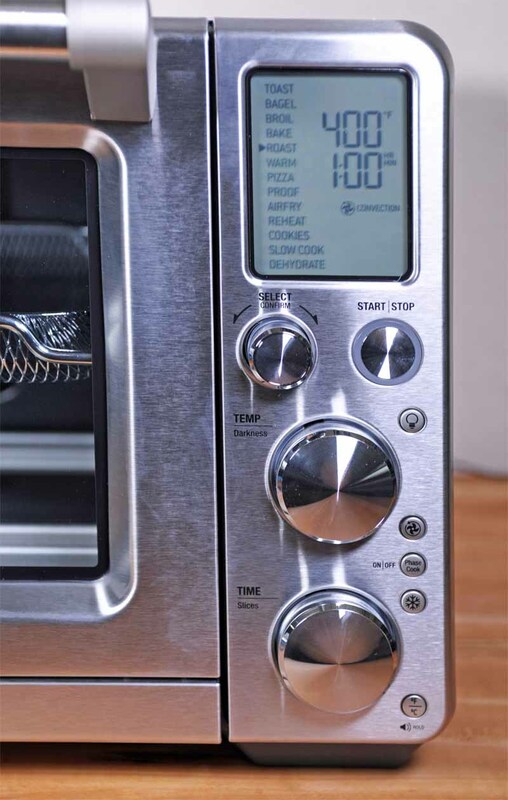 Once you’ve selected which setting you’d like to use, you’ll either select a temperature, like 425 degrees Fahrenheit, or a number setting, like “4” for how well done you like your toast or bagel. Depending on the setting you’ve chosen, the device adjusts how it distributes heat. For example, if you set it to broil, it’ll kick out 1500 watts of heat from the heating elements arranged along the top. 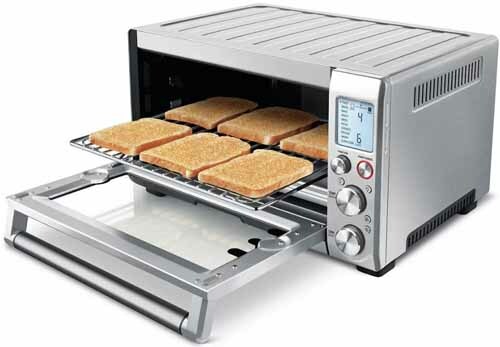 For toast, it’ll use 1800 watts from above and below for even toasting. 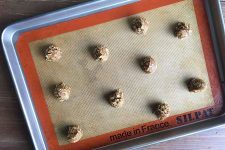 When baking, the appliance uses its convection capabilities to evenly blow the hot air throughout the interior space to ensure that all of your cookies are baked the same. Although it comes with preset recommendations for cooking time and temperature based on what you’re cooking, you can customize each of these settings. Both models will remember the settings you’ve chosen until you unplug it from the wall, making it even faster and easier to use! 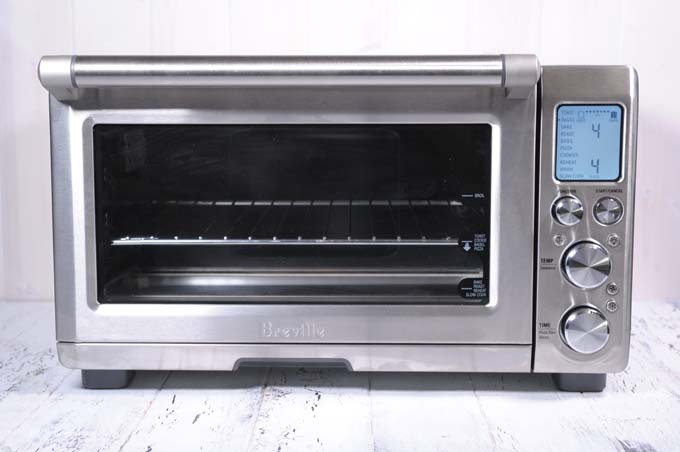 The Breville BOV800XL Smart Oven pro comes with three accessories: a pizza pan, baking pan, and broil rack while the BOV900BSS Air includes an addition rack and an air fryer pan. 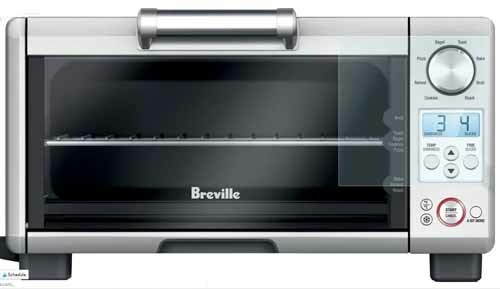 The Breville BOV900BSS Smart Oven Air includes a pizza pan, baking pan, two wires racks, and an air fryer basket. Photo by Mike Quinn. 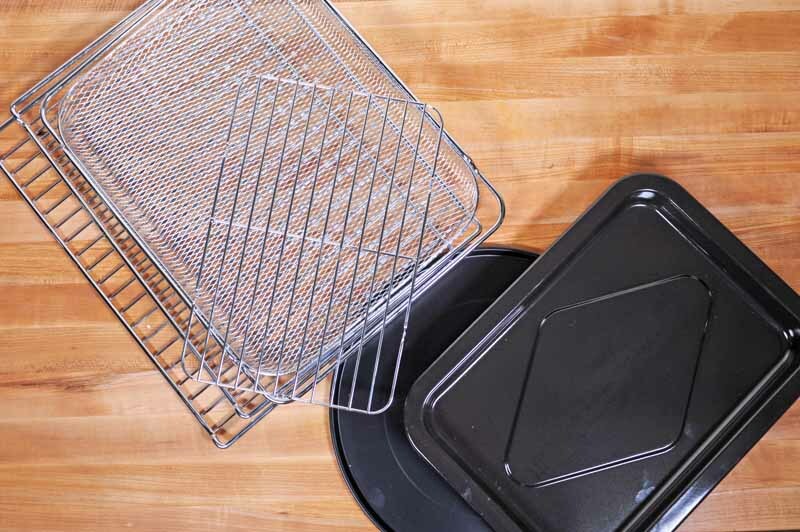 For your basic toaster oven functions, you’ll likely just slide food directly on to the wire rack in the toaster oven, but these accessories are prefect for all of the oven’s other functions. Thhe Breville BOV900BSS Smart Oven Air includes a air fryer setting along with an included specialized rack for that purpose. Photo by Mike Quinn. The pizza pan is a great tool for either frozen pizzas (no judgment here: we all need a late night snack occasionally!) or for cooking a homemade pie. I recommend precooking homemade crust just a bit before topping since you won’t be able to bake it at a temperature higher than 450 degrees Fahrenheit. Use the baking pan for everything from cookies to brownies to roasting drumsticks. The broil rack is designed for broiling chicken breasts, hamburger patties, or to just help get a nice crust on mac and cheese. I’ve been known to stack the broiling rack inside the baking pan and use it as a roasting pan. 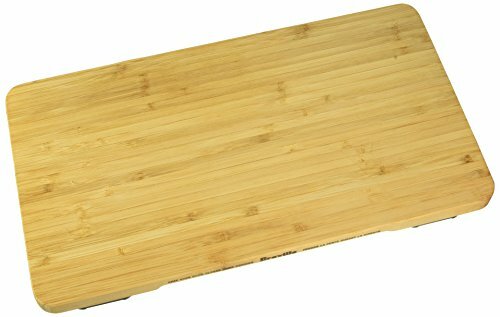 In addition the standard accessories, bamboo cutting boards are available as separate purchases. These boards sized perfectly to on top of the two largest ovens and compliment the styling of the Breville. Note there are TWO DIFFERENT Sizes. The Breville BOV900ACB Bamboo Cutting Board fits the BOV900BSS Air while the Breville BOV800CB Bamboo Cutting Board fits the BOV800XL Smart Oven air. The interior of the appliance and the removable crumb tray are nonstick enamel, making them incredibly easy to wipe down. Don’t use oven cleaner to get the inside clean: this can damage the finish and it doesn’t need such a heavy duty cleaning with regular care. The top of the oven and the bottom of the crumb tray are mirror on the Air for even heat distribution but are just the same enamel in the Pro model. Day to day I typically just pour the contents of the crumb tray into the garbage can, but every week or so I scrub it with soap and water to really get it clean. 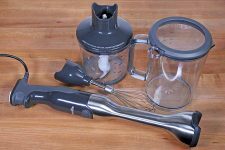 The accessories are not nonstick, but easy enough to clean up. Just scrub them with warm water and soap. To wipe up the outside, use a wet cloth. Make sure to never submerge the toaster oven in water and to keep the power cord dry. 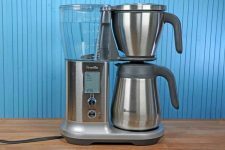 The Breville Pro comes with a one-year limited warranty. Although this is fairly standard for the industry, many users feel that it’s somewhat short considering that this is such an investment piece and a less typical small appliance. The Air has an upgraded two-year warranty (likely due to an inclusion of an extra cooling fan to keep the electronic control panel cooler so it doesn’t fry itself). One of the things I really like about this countertop appliance is that you can be an absolute novice in the kitchen and still produce great results when using it. I love my fiancé very much, but he has no idea what he’s doing in the kitchen. Since this toaster oven has pre-programmed settings for many of the things he cooks or it remembers settings I programmed from the last use, I can trust that he’ll be able to cook himself a good meal on nights I have to work late. For those looking to save money on their electric bill each month or who are energy-conscious, this appliance is a great choice. First of all, it uses less energy than a wall oven simply because of its size. Since it’s so much smaller, less energy is required to heat it. 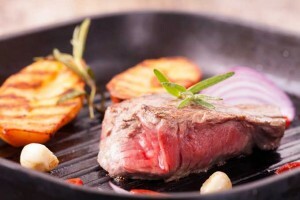 In addition, since food is being cooked in a smaller space, up to 30% less energy is used while cooking. Do You Need a Smaller Model? This model can hold a 12 inch pizza or 4 slices of toast and the baking tray is more than big enough to hold veggies to roast for dinner. 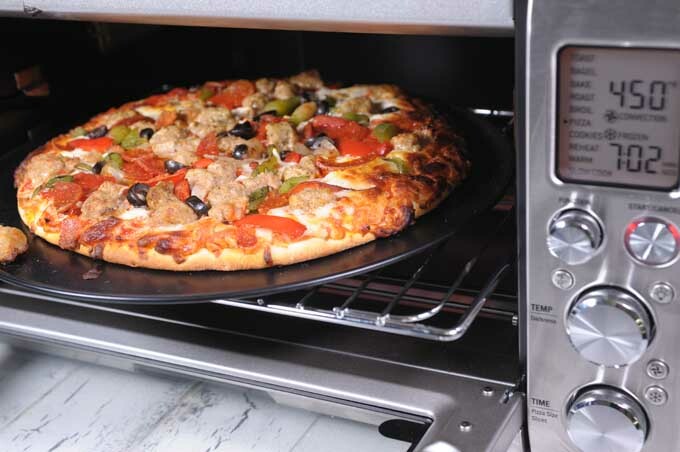 Unlike the larger ovens, the BOV650XL Compact does not include a pizza pan. It does includes a broil rack and a baking pan. This model also has an available cutting board like it’s larger siblings. The BOV650CB is the model that you want to look for. At a diminutive 16 x 13 x 9 inches, the BOV450XL Mini can still fit an 11 inch pizza and 4 slices of toast. This model ships with only the baking pan. The Breville BOV900BSS Smart Oven Air is our favorite convection countertop toaster oven that we've reviewed. With superb construction, a two-year warranty, and big enough to accept easily found quarter-sized baking sheets and pans, this model can easily replace a conventional oven in a small apartment or make for a heck of a supplemental appliance for holiday gatherings. Our highest recommendation. Although this is something to take into consideration when making your purchase, I’ve had the older for five years, we used it almost everyday, and it’s still working great. Being able to either have two ovens in my tiny kitchen or opt for just using my Breville when I only need to complete smaller jobs has made my home cooking experience so much easier! Not to mention, in its simplest state, this thing makes a great piece of toast. 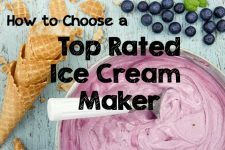 Still trying to figure which model is best for you? 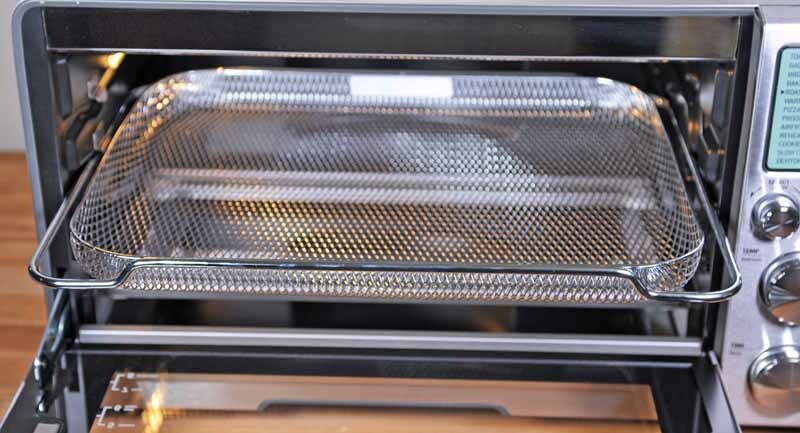 Take a look at all of our suggestions in our toaster oven buying guide now! Photos by Mike Quinn, © Ask the Experts, LLC. ALL RIGHTS RESERVED. See our TOS for more details. Additional photos courtesy of Breville. Originally published on October 13th, 2014. Last updated October 6th, 2018. Convection ovens are pricier than normal ovens, but they’re well worth the investment! I’ve enjoyed power savings and faster cooking times with a convection oven. One of the things to note about the convection oven is where the fan is located, as it will affect the convection current and hence the distribution of heat. You would want to rotate a pie/pizza towards the fan every now and again to ensure even cooking. I love my toaster oven. It was one of the best items I’ve ever purchased. I find that I use it almost daily in comparison to my actual oven. I have an older toaster oven that is quite a few years old, this is a helpful post for me. I’ve been looking to replace my current one with an update version. Thanks for taking to list places to buy and general information about them. I’ve been looking to buy a toaster oven having used a friends and also in a house I was renting and loved them. I’ve only tried the basic ones, so I am definitely going to weight up my needs and what is on offer. The best thing is that they are easy to clean and can be used for everything, so you don’t really need a microwave to heat up things. Toaster ovens are really great replacements for a microwave. I have both at the moment, but I like how my food is cooked better in the toaster oven. I usually just use my microwave for reheating coffee and some small things. My toaster oven is one of the best items I’ve ever bought. Just make sure you get one that will last you. The first one that I ever bought was a cheap model. It broke within a few months and needed to be replaced. The one I have now is a few years old and it has held up for quite sometime. 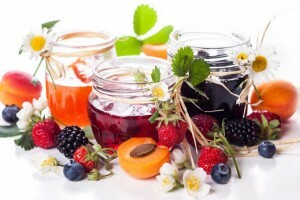 Always look for quality products, they will last longer and make you happier. 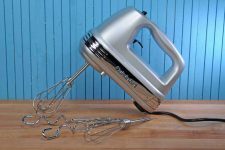 I’ve never researched too far into these types of appliances, but I didn’t know you could bake in them!! That’s genius. Now you may have sold me on it.. or at least for my Christmas wishlist! I used to think that a toaster oven was an extraneous purchase, since I have an oven, and I have a toaster. What would I need a toaster oven for? Because of my job, I bought one out of necessity, and let me tell you that thing has come in handy for so many things. If I had the counter space to devote to it, I would definitely buy one for home. I have been considering purchasing one of these and not using our traditional ovens. The reason being is the three apartments we have moved in have all had certain issues with ovens and usually are dirty when we move in. DO these ovens use much more power than a traditional oven? I would think they could even use less being smaller. I have been considering getting a toaster oven to use for small items and during the summer to avoid using the large oven. I think using a smaller oven will also help save a few dollars on the light bill. I got my mom the 650XL for xmas and she loves it! Thing is I got her a really high end delongi one about 5 years ago that still works flawlessly, Thing is the delongi one is big, bulky and hard to operate. It’s got a million more features but they are just to hard for mom to figure out. The 650XL still has a lot more features than a normal unit, but it’s compact and super easy to use. 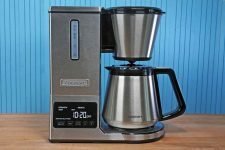 I love the sleek design, and have always heard good things about Breville products. This is something I will consider buying when my microwave finally dies. I realize this isn’t a microwave, but since I have limited space, I can’t have both. Even the microwave sits outside of the kitchen, so there definitely isn’t room for anything else in the kitchen, but this would fit well right where the microwave currently sits. I think I would get a lot more use out of this than the microwave, since it’s so versatile, and since it would sit up higher than my actual stove, I might use it more than that. Just last week I sold my microwave and bought a convection oven instead. I wish I had seen this article first. I am happy with the one I bought but then again, I am new to the world of convection ovens and have never heard of Breville before. Mine has a rotisserie option is what convinced me on that particular one. It is hard to find rotisserie chicken in my area that does not have antibiotics so I need to do it myself. 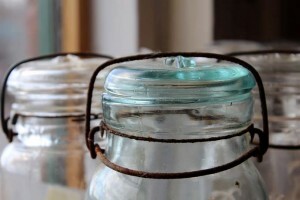 Your article also made me realize that I can now get rid of my toaster which my husband and son have insisted on keeping even though we only use it once every few months! 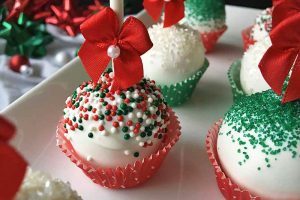 I’ve been hearing a lot about convection ovens lately and this article has really helped me understand how they work. I’m not sure if I could completely give up my traditional oven with the large family that I have, but I could see myself purchasing one. Well this really sounds like something that would make my life a whole lot easier. I am not sure that I really need it, but if it were there I would definitely not mind having it around. 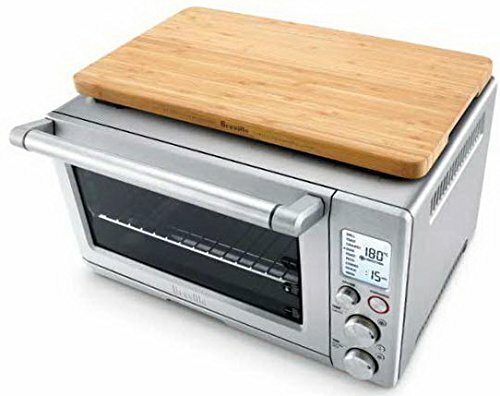 I have a toaster oven now but the thing is pretty small and I really cannot use it for much, so this would help me out there. I would like not having to use the oven as much, so this would work very well. Interesting stuff, and thanks for sharing.